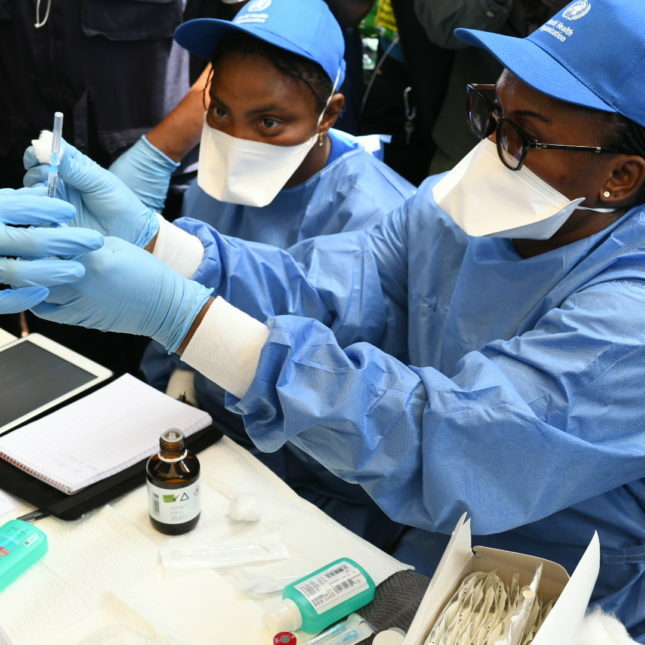 KINSHASA, Congo — Congo’s latest outbreak of the deadly Ebola virus is over, the health ministry announced Tuesday, after a 42-day observation period with no new confirmed cases recorded. There were 54 Ebola cases, including 33 deaths, in the outbreak that was declared in early May in northwest Equateur province, the ministry said. Health officials said a quick international response and vaccinations of more than 3,300 people were major factors in containing the outbreak, Congo’s ninth since the hemorrhagic fever was first identified in 1976. “Although the scale of the crisis we were facing was unprecedented, the speed and effectiveness of the response put in place by the government and its partners were also exceptional,” Health Minister Dr. Oly Ilunga Kalenga said. The outbreak posed a serious challenge when it spread to the city of Mbandaka and its more than 1 million people. The other initial cases were in remote, hard-to-reach rural areas without basic infrastructure such as electricity, making the vaccination effort more challenging. The city sits on the Congo River upstream from the capital, Kinshasa. There were concerns the virus would spread not only within the country but to neighboring countries including Central African Republic. International organizations will remain in Congo for follow-up and monitoring. “The outbreak was contained due to the tireless efforts of local teams, the support of partners, the generosity of donors and the effective leadership of the ministry of health. That kind of leadership, allied with strong collaboration between partners, saves lives,” said the WHO director-general, Dr. Tedros Adhanom Ghebreyesus.